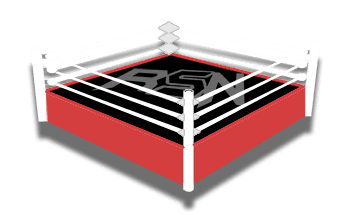 Welcome to Ringside News’ live coverage of SmackDown Live for November 13th, 2018. This will be the go-home show for Survivor Series and it looks like WWE is going to be forced to pull one of the most exciting matches on the card. Ronda Rousey and Becky Lynch were set to battle at Survivor Series this Sunday, but after Nia Jax clocked Becky Lynch during SmackDown’s invasion of Raw last night it looks like Lynch is injured with a broken nose and a possible concussion. SmackDown Live is going to be very interesting. This is a live result so keep refreshing throughout the show! SmackDown Live opened this week with them showing clips from the SD invasion of Raw last night. They did a great job not showing the blood on Becky’s face with the clips they used. But it was pretty hard to avoid during the chair shots Lynch gave to Rousey and the post-match celebration. Then they announced that Becky Lynch has been pulled from the Survivor Series match with Ronda Rousey because she suffered a fractured face and a severe concussion thanks to Nia Jax. AJ Styles came down to the ring next and he hyped his match against Brock Lesnar. AJ said he almost beat The Beast Incarnate last year and this year he intends on doing more than surviving. Suddenly, AJ spotted Paul Heyman at ringside and AJ insisted that they give Paul a mic and then he did his usual routine. Paul called AJ “Mr. Styles” and then said that on Raw he said no one that Lesnar wants to fight more than AJ. The reason he wants to do it is that Styles ranks up there with so many legends. Then Paul said Styles is nearly as good as Daniel Bryan. Paul said that we’ll never see Lesnar vs Bryan and AJ isn’t a consolation prize, but it’s an honor for him to be at ringside with the 2nd greatest in-ring performer in WWE history (meaning Daniel is 1st). AJ said he sees what Heyman is doing, but he has nothing but respect for Daniel Bryan. But he reminded Heyman that he didn’t just beat Bryan, he tapped him out. Lesnar won at Survivor Series last year, but AJ walked out with his head held high, but Lesnar limped which tells him he’s vulnerable and for 371 days AJ has gotten better at tapping out and Lesnar has gotten more vulnerable at tapping out. He said this Sunday will be about him and not Daniel or Brock. Then Daniel Bryan came out. Bryan said he didn’t know why people were talking about him. He admitted that AJ tapped him out and thanked him for bringing it up. But Bryan said he respects him and he meant that but he also said he’s been looking for a reason to punch him in the face and he meant that too. Then Daniel said if AJ mentions him again without reason then he’s punching him in the face. Daniel said thank you and goodnight and tried to leave. AJ said Heyman brought up Bryan’s name, Then AJ asked if someone asks him about a technical master he’s been in the ring with he can’t say “Daniel Bryan?” Then Daniel punched him in the face and didn’t stop. Shane McMahon ran down and called WWE officials down and they did a pull-apart like WWE loves to do and they do them so well. AJ and Bryan have unfinished business.